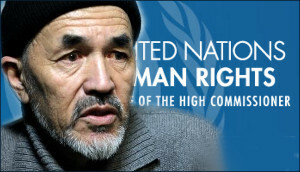 “The Committee, composed of 18 international independent human rights experts, found that, in its treatment of Mr Askarov, Kyrgyzstan had violated several articles of the International Covenant on Civil and Political Rights (ICCPR), to which it is a State party,” the UN Committee’s press release further reads. * Read the Committee’s decision in full on our website. The Committee members also noted that Mr. Askarov was initially detained at the police station where the deceased officer was based and that no specific security measures were in place to safeguard him. “The findings of the medical forensic examinations conducted by independent experts are consistent with other evidence suggesting (Mr. Askarov) was subjected to acts of torture,” the Committee members wrote in their findings. The press release further reads Kyrgyzstan also failed to carry out a prompt and effective investigation into Mr. Askarov’s allegations of torture, the Committee concluded. A subsequent inquiry in 2013, “while extensive, lacked the element of impartiality, as it interviewed more than 100 law enforcement officers, judges, court clerks and prosecutors but failed to interview (Mr. Askarov’s) lawyers, human rights defenders who visited him in prison, and his relatives,” the Committee wrote. The Committee also said that the conditions in which Mr. Askarov was held were inhumane and he was unable to get proper treatment for serious medical conditions. The Committee noted that Mr. Askarov had alleged that he and his lawyer were unable to meet in private, and information necessary for his defence was withheld. On several occasions, relatives of the deceased officer attacked his lawyer, while the police and local prosecutors failed to intervene. This situation, according to the Committee found, created “a general sense of fear, incompatible with the proper execution of the defence lawyer’s functions.” There was also unrefuted evidence that his lawyer was notified too late to attend the first day of trial on 2 September 2010, when the court heard 16 prosecution witnesses. The guarantee to be able to call and question witnesses “is important for ensuring an effective defence by the accused and their counsel,” members stressed. Therefore, in accordance with the press release, Kyrgyzstan is obliged to make full reparation to Mr. Askarov, the Committee concluded, including his immediate release. If necessary a new trial should be held and conducted “subject to the principles of fair hearings, presumption of innocence and other procedural safeguards,” members said. “This is a very important decision not only because we have been expecting it for four years; that said, it was most difficult for Azimjan Askarov, currently imprisoned, awaiting it,” says Maria Chichtchenkova, a protection coordinator for Europe and Central Asia at Front Line Defenders. “And this is not only Azimjan Askarov’s victory; this is an event [presumably: of utmost importance] for entire Kyrgyzstan. The UN Committee for Human Rights is comprised of authoritative international experts and suspecting they were partial or were [pursuing] some political interests would be very difficult; therefore, their opinion is to be taken as an objective one. Furthermore, it is very good that the Kyrgyz state has actively cooperated with the committee [in regards with] this complaint, thanks to which experts were able to freely hear both sides’ arguments. “Azimjan Askarov’s complaint was completely satisfied in the part where [he discusses] the conditions of detention and access to fair trial. In other words, it was established that his right for defence was violated since the very moment of his detention and that he was subjected to violence on the part of police officers. This decision, which the Committee adopted regarding a case that we have been closely watching since the very beginning, confirms our own observations. I was personally present at one of the hearings in the Askarov case. What I was astonished by was that the defendants were severely beaten right before [the hearing] and practically nobody paid any attention to this [fact].